In today’s digital era, it is easy to celebrate one’s style and fashion. With a snap of a photo, and instant upload to the internet, one’s style can easily be defined for everyone to see. While finding one’s unique style maybe easy for others, it can be a bit difficult for some. Planning a specific style can be challenging, yet still a challenge they gladly accept. From their wardrobe down to their accessories, one’s style has to be consistent and distinctive in order to make a statement. This is the reason why fashionistas plan their outfits extensively, making sure every detail is taken care of; even their gadgets are styled in accordance to their theme of the day. Today, everything is a fashion statement: cellphone cases, bags, accessories, and surprisingly so, even lighters. Gone are the days of boring lighters that come in only two shades: black & red. Today, fashionistas everywhere can add an additional unique twist to their style with a Clipper Lighter. Yes, you heard that right, the Clipper Lighter Mania has arrived in Manila. The super lighter that was founded in Barcelona in 1959 has long been known for its safety, durability, and exceptionally long wear. 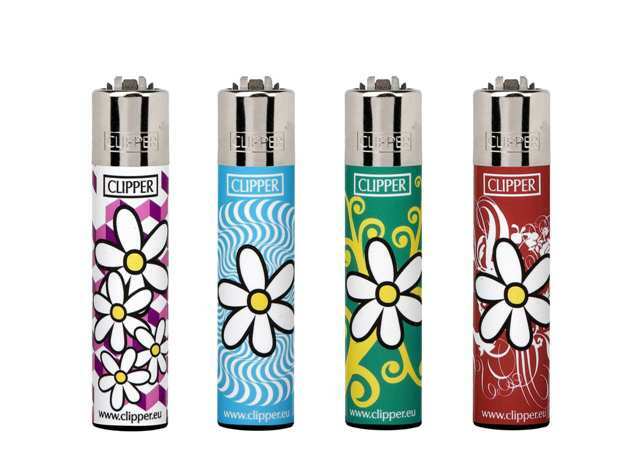 However, what makes a Clipper lighter stand out is its wide variety of designs, shapes, and textures that has sparked a lighter revolution worldwide. In addition, its electronic lighters are virtually child-resistant, with harder buttons that prevent unwanted use, especially from the young ones. Now, people don’t just have one lighter but they have a wide collection, pairing their super lighter with their outfit of the day, or displaying the styles as any collectible should be. Whatever your style, preppy, sweet, grunge, or classic, there’s a Clipper lighter that would suit you perfectly. Mix and match with Clipper’s unique designs that guarantee that you’ll never been carrying the same lighter twice. Its distinctive charm will definitely raise you high above the rest. So what else are you waiting for? Light your own fire today with Clipper Super Lighter, now available in convenience stores nationwide.